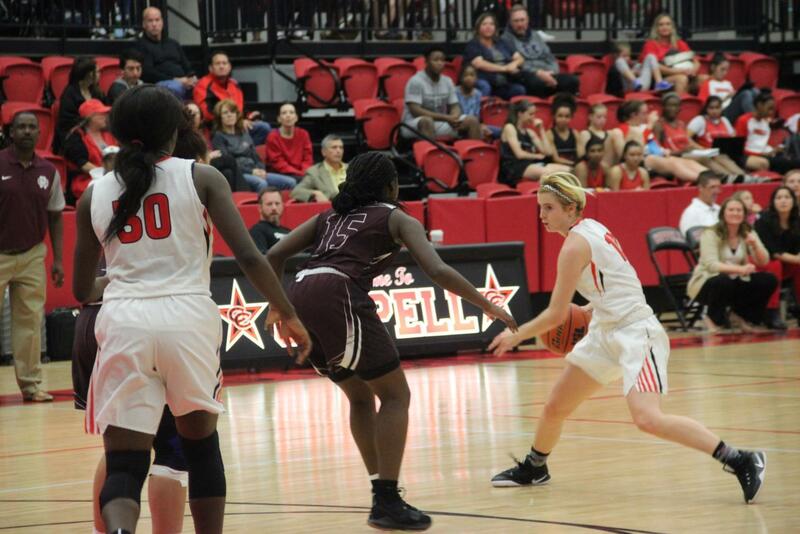 In a tight game against the Red Oak Lady Hawks, the Coppell Cowgirls basketball team narrowly lost its first game of the season last night, 54-47, at the CHS Arena. Due to a late pull away with multiple three-pointers and consistent jump shots, the Lady Hawks came out with the win. In the second quarter and throughout the remainder of the game, Red Oak played in a much more aggressive manner. The Lady Hawks began to consistently shoot three-pointers, which created another threat for Coppell to guard on the defensive side. This tactic of shooting long-range shots worked well for the Lady Hawks, eventually taking the edge on the Cowgirls. “On the defensive side, we need to work on the little things: closing out with our hands high, hustling, and closing out fast,” Davis said. Despite Red Oak’s offensive success, the Cowgirls were still able to hold strong. 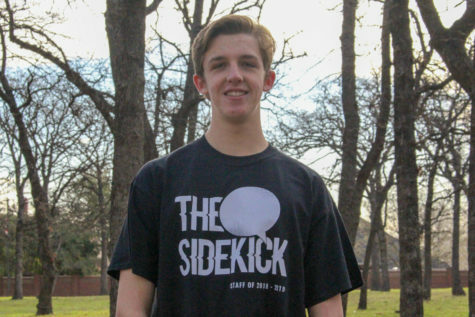 By the time the buzzer sounded for halftime, the score was just 28-27, with Red Oak on top. The third quarter began and ended similarly to the previous one; close, but Red Oak barely ahead. With two three-pointers in a row midway through the third, the Lady Hawks entered into the fourth with a lead of 40-37. Despite the loss, the Cowgirls came out strong in the beginning of the game with a four-point lead at the end of the first. This was due to consistent ball movement and good communication on the court. The Cowgirls also ran a strong transition from offense to defense and vice-versa, often catching the Hawks on their heels. Coppell will play again Nov. 14 against the Keller Lady Indians at 6:30 p.m. in the CHS Arena.